The monomyth is a narrative structure found throughout film and literature, described by Joseph Campbell. 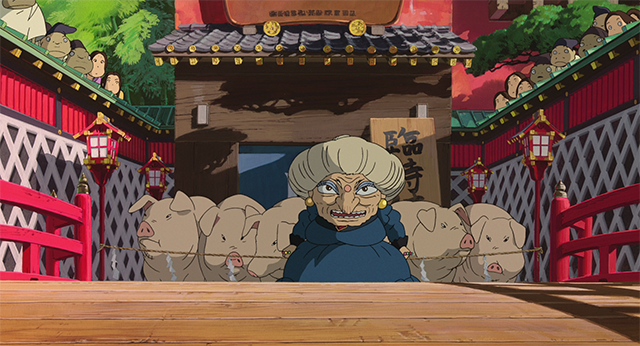 In my first post, I want to explore how Miyazaki’s Spirited Away (2001) applies the monomyth structure in its narrative. 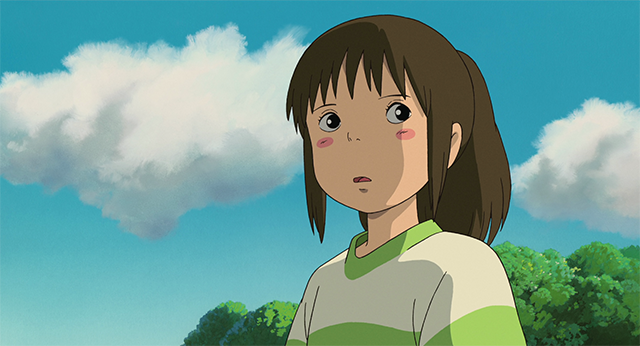 Spirited Away is one of my favourite films, and with the end of Studio Ghibli possibly in sight, I thought it was an appropriate time to look back at Chihiro’s story and find out what makes it such a timeless adventure. I’ll be using Wikipedia’s page on the monomyth (The Hero’s Journey) as a reference. 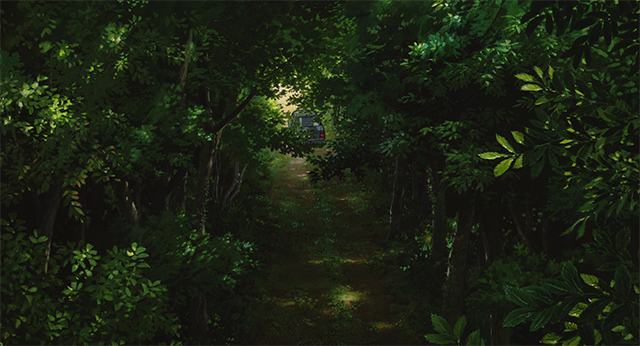 While taking a dubious shortcut through the forest, Chihiro’s family come across a mysterious gate. Chihiro is clearly upset at the idea of exploring the gate. 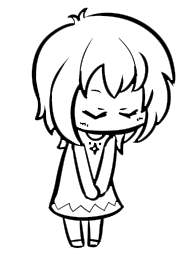 She initially refuses to follow her parents, but is more upset at the idea of staying behind alone. 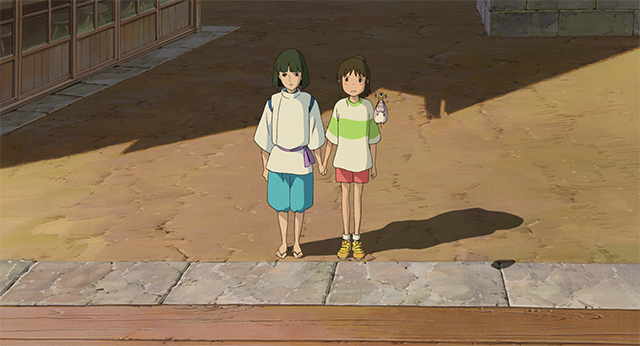 Chihiro meets Haku in front of the bathhouse. He warns her to leave the spirit world before sundown, but her retreat is blocked by the newly formed lake. 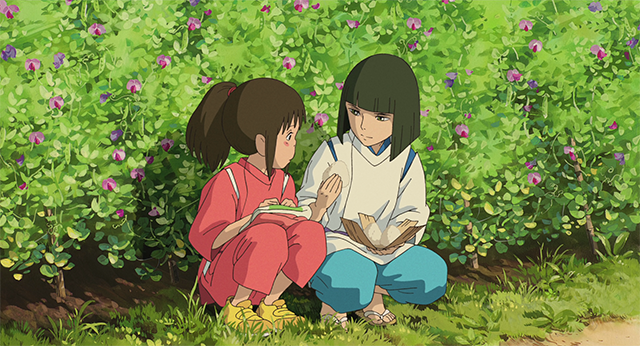 Haku gives her a magical berry to prevent her from vanishing. 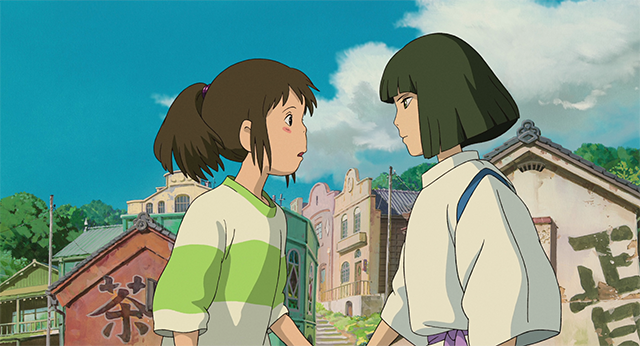 Now that she is trapped in the spirit world, Haku helps Chihiro cross the bridge to the bathhouse. In order to stay hidden, she must hold her breath as she crosses. 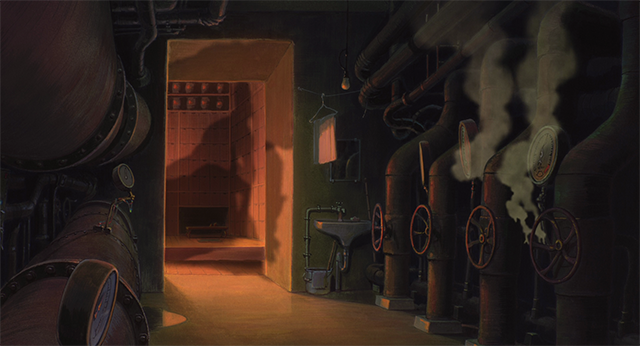 Chihiro literally enters the belly of the bathhouse in the form of the boiler room. She demonstrates a willingness to work and earn a safe place in the spirit world. 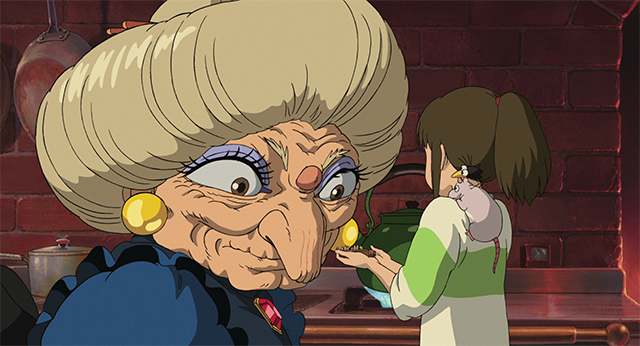 Her metamorphosis takes place when Yubaba takes her name, transforming her into Sen and ending the first act of the film. Sen first ventures outside to visit her parents, who have been transformed into pigs. 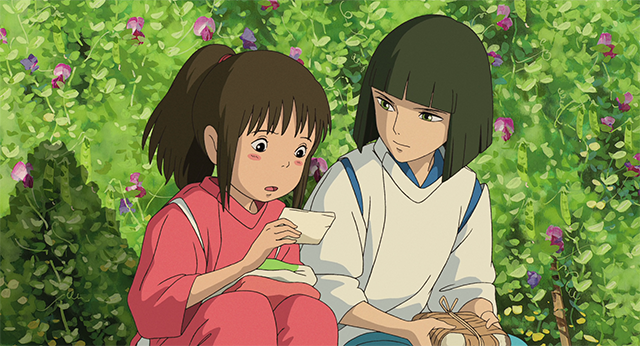 She is comforted by Haku, her helper, who gives her advice and food. He also helps remind her of her true name, which she has already forgotten. She struggles to keep up with the cleaning work in the bathhouse. 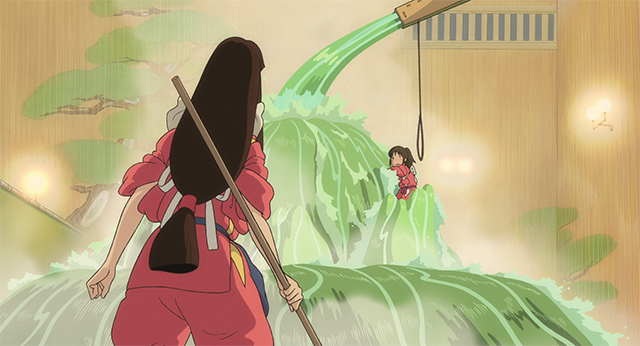 She faces a major trial when she must clean the polluted river guardian. Sen sees a dragon being attacked by paper shikigami, and recognises it as Haku. 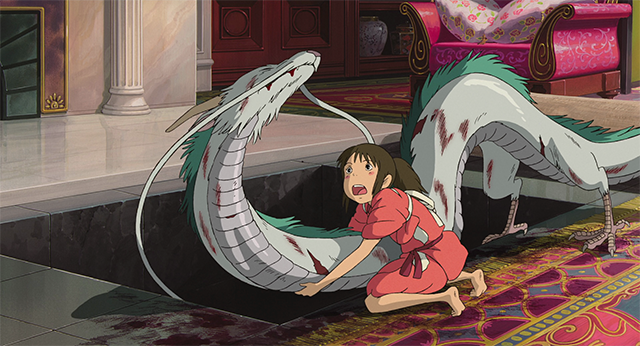 She tries to comfort the wounded Haku, following him all the way to Yubaba’s chambers. 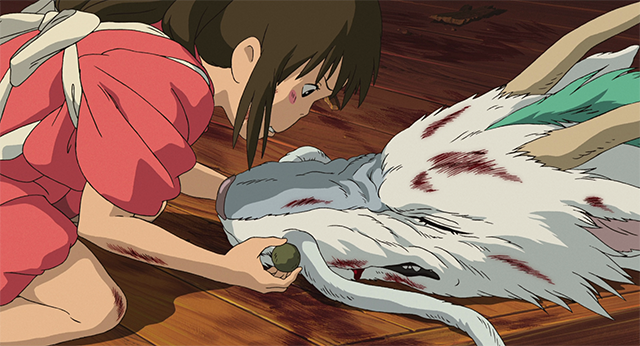 Eventually, she uses the magic dumpling given to her by the river guardian to heal Haku. Kamaji tells Lin that Sen is in love with Haku. 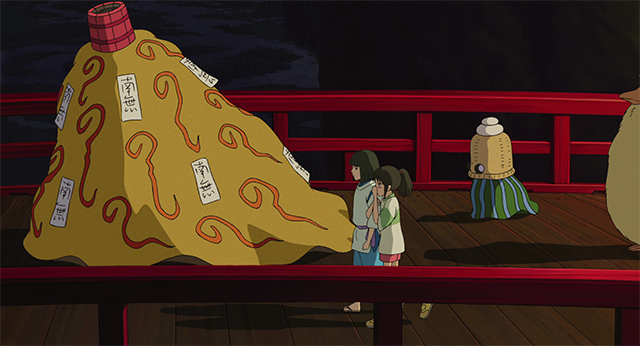 While leaving the bathhouse, Sen comes across No-Face, who tries to tempt her with gold and other material items. She refuses, and gives No-Face the rest of the magic dumpling instead. Sen makes her way to the swamp, where she atones for Haku’s transgression by returning the stolen magic seal to Zeniba, a powerful witch. Sen rests at Zeniba’s house, where she receives a special hair tie woven by her newfound friends. Before she leaves, Sen also tells Zeniba her true name. No-Face stays with Zeniba, having finally found peace. 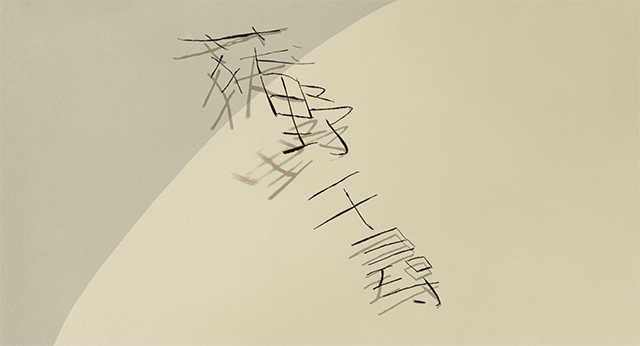 On the way back to the bathhouse, Sen/Chihiro remembers Haku’s true name: Nigihayami Kohakunushi. With this revelation, Haku can finally earn his freedom from Yubaba’s control. 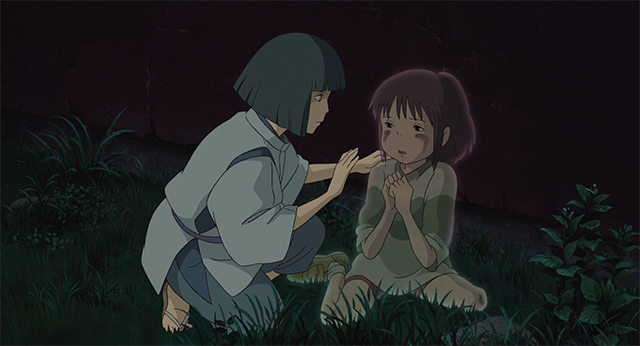 Although Chihiro does not refuse to return to the human world, she does make Haku promise that they will meet again. She is also tempted to look back before entering the tunnel, but manages to resist. 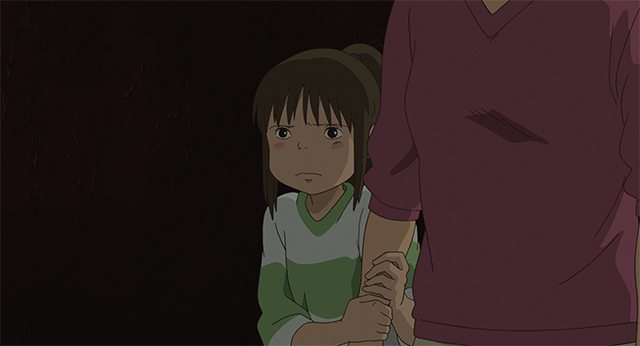 Interestingly, the animation used when Chihiro’s family is returning to the human world is the same as when they first enter, complete with Chihiro nervously clutching her mother’s arm. 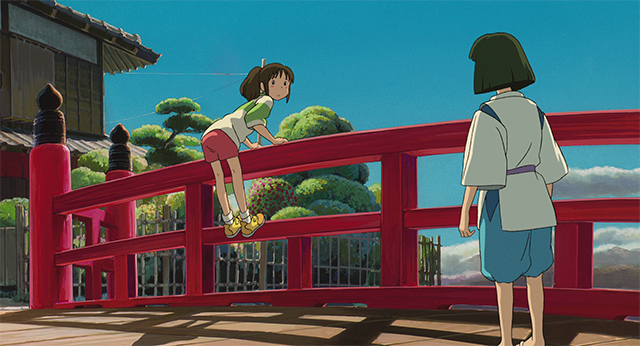 Jumping back a scene or two, Chihiro and Haku arrive at the bathhouse by flying there. 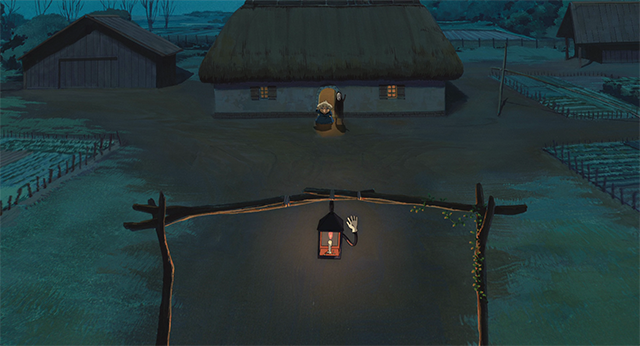 Chihiro must pass Yubaba’s final test before she is allowed to leave. 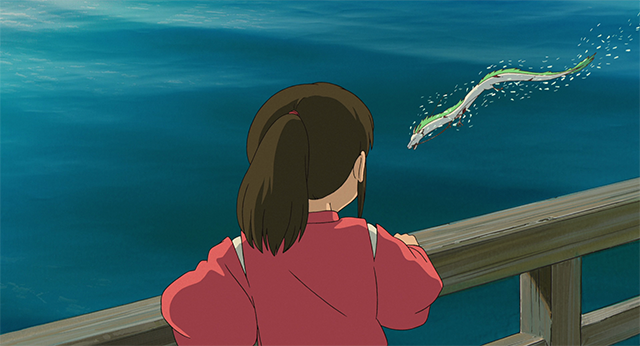 Haku’s freedom (the boon) is only truly realized when he tells Chihiro that he will quit his apprenticeship. 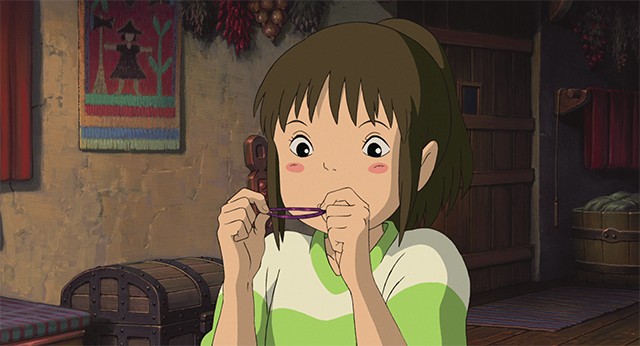 Although only briefly mentioned, Haku is the one who warned Chihiro of Yubaba’s final test. 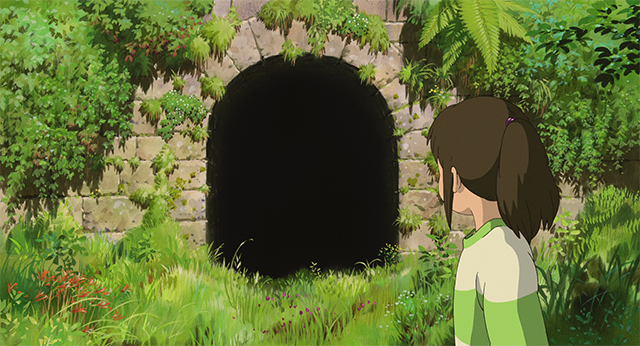 Chihiro looks back through the tunnel after returning to the human world. We can only assume that such thoughts are on her mind. 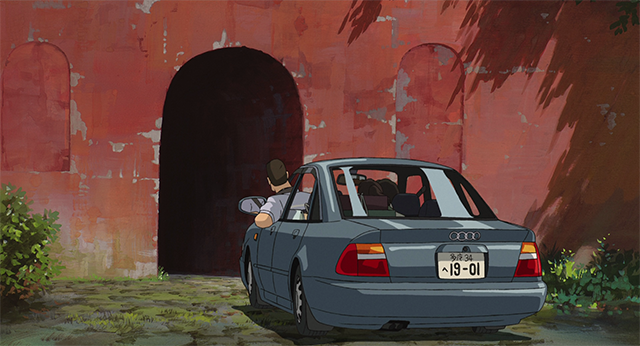 The last shot of Chihiro as she turns to join her parents in the car very deliberately flashes the hair tie she received from her friends in the spirit world. 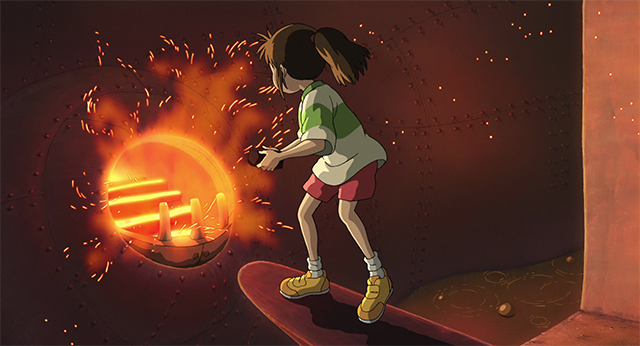 It can be seen as a symbol of the balance she has achieved; a keepsake from her adventure in the spirit world. 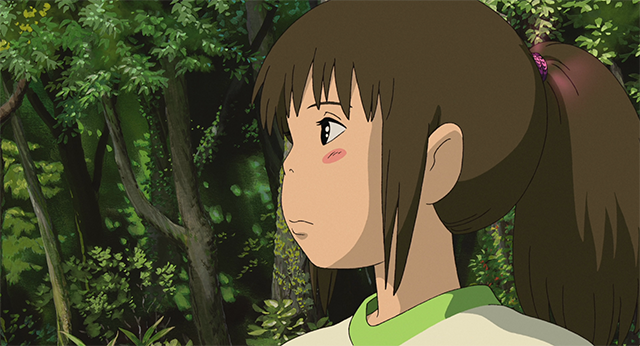 We have to assume that Chihiro has found this freedom, since the movie ends just at this point! 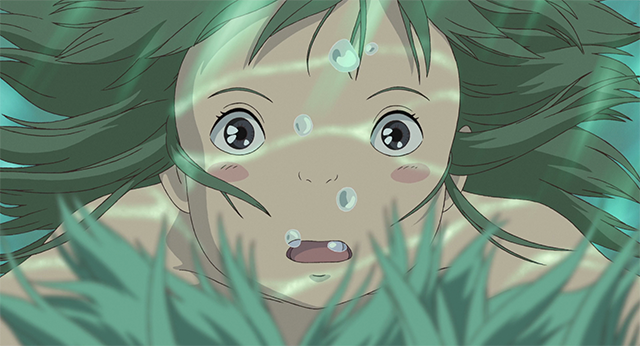 The English version of the film does have some additional dialog, with Chihiro assuring her parents that she can handle her new home and school. 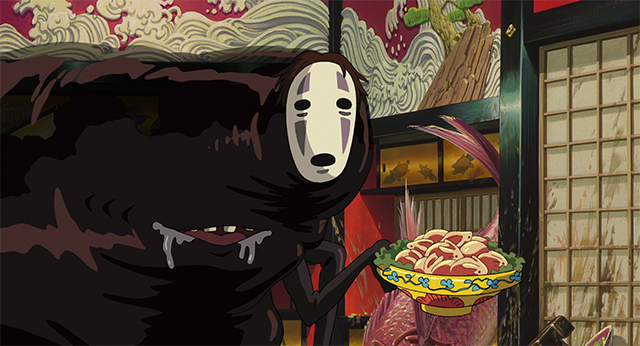 It certainly seems to me that Spirited Away was written with the monomyth in mind. Aside from some minor deviations towards the end, it adheres very closely to the structure described by Campbell. 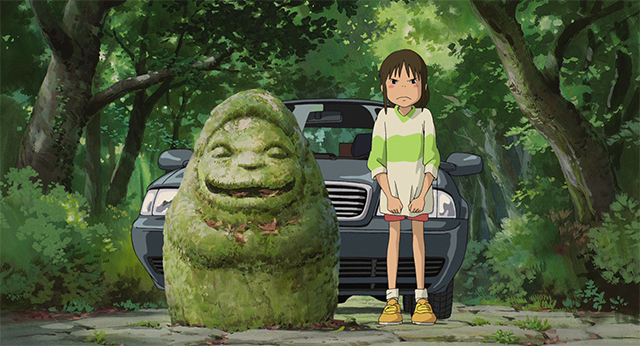 Is Spirited Away a good film because it follows the monomyth? Of course there’s more to it than that, but I think some part of its appeal comes from the use of such a classic myth structure. 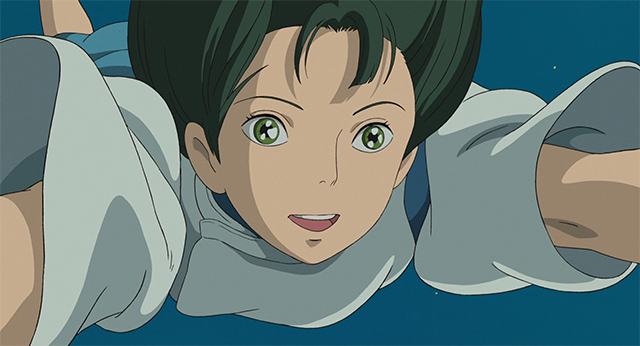 If you’ve stumbled across this post and read this far, please take the time to watch or re-watch one of Studio Ghibli’s finest works. Until next time, best regards from the constellation of Canes Venatici.